Bresa seems to be a happy and contented dog. 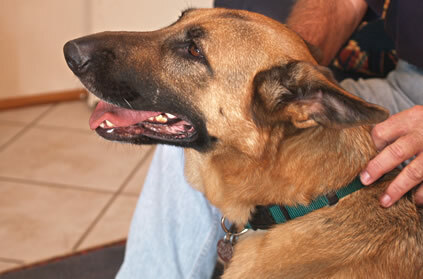 Bresa belongs to a five dog play group and socializes well. I woud recommend the GSROC to anyone who is contemplating adoption.